The Prisma photo editing app was an instant success when it launched. At first, it had to filter your image over the internet, but with an update in last August, you got to do it offline, saving you both time and data. And now Prisma has a feature called “Store” where you can download for free more filters and remove current one. 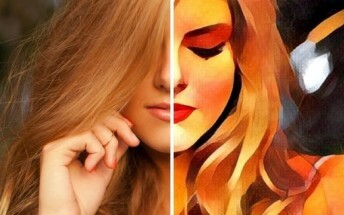 Prisma gained an immense popularity due to its unique neural net that reads the image and makes an artistic paint-like picture. Some of the filters, inspired by real art styles became popular over Instagram, and now developers of Prisma updated the app so you can have the filters you want and to remove the ones you don’t like. The new Store feature lets you download for free additional filters and the download is quite fast. They work as good as the original ones. Prisma also has its social network with a Feed and Profile tab where you can share all your artsy images with friends. I can no longer share my photos to the social feed or even look at photos by people I haven't followed yet. It worked long enough for me to get up 10 or so photos, but now it just keeps asking me to allow t to know my location. I have checked my settings and I can't figure out why Prima can't see where I am. Thoughts? Sorry for about that, you could try updating your prisma App, if that doesn't fix it, you could try saving the picture to gallery, then share to prisma.